Mark Kovacs, Sports Science Researcher, Performance Coach, Author, Public Speaker returns along with Sharkie Zartman, HOF Volleyball player, author, radio host & my co-author of #HeySportsParents. Then it’s 'The Sports Doctors In' & your emails! Dr. Kovacs is a renowned performance physiologist, researcher, author, speaker and coach with an extensive background training and researching athletes and elite performers. His unique skillset has made him one of the worldwide leading performance experts in the area of optimizing human performance through the application of cutting edge, evidence-based information. He formerly directed the Sport Science, Strength & Conditioning and Coaching Education departments for the United States Tennis Association (USTA). He was an All-American and NCAA doubles champion in tennis at Auburn University and earned his PhD from the University of Alabama. He is a Certified Tennis Performance Specialist (CTPS) and Master Tennis Performance Specialist (MTPS) through the iTPA, and in 2012 he was the youngest ever recipient of the International Tennis Hall of Fame Educational Merit Award. He has worked with more than two dozen top professional tennis players on all aspects of physical training including John Isner, Robby Ginepri, Ryan Harrison and Sloane Stephens. 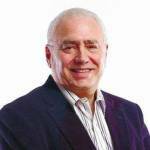 As a sports administrator and executive he has worked at the highest level of sports and industry. Most recently he was the Director of the Gatorade Sport Science Institute which was established in 1985 and is committed to helping athletes optimize their health and performance through research and education in hydration and nutrition science. He was also an executive at Pepsico working in the area of long term research and innovation focused on improving athletic performance and monitoring using science and technology. He also directed the Sport Science, Strength & Conditioning and Coaching Education departments for the United States Tennis Association (USTA). The USTA is the largest National Sports Governing Body in the US. During his tenure at the USTA he created the integration of the medical and sport science services for full time athletes at the National Training Center in Boca Raton, Florida as well as the development of full service care and training at satellite facilities in Los Angeles and New York. He was instrumental on securing a long term partnership with Cleveland Clinic Florida as well as creating a systematic approach to the training and treatment of tennis athletes throughout the US. He is also the co-founder of the International Tennis Performance Association (iTPA), which is the worldwide leader in tennis-specific performance enhancement and injury prevention education and certification. It is an international organization with members in over 23 countries focused on improving standards in the training and treatment of tennis athletes from the weekend warrior to the top professional players. The organization offers in-person and online educational opportunities for Strength & Conditioning professionals, athletic trainers, physical therapists, medical doctors, chiropractors, tennis coaches and other healthcare providers who work with tennis athletes. The iTPA is also the official education provider for major tennis federations throughout the world. 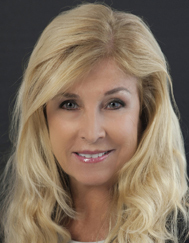 Dr. Kovacs has also served on the investment and finance committees for the National Strength & Conditioning Association and gone through a Finance program for executives through the Emory University Goizueta Business School. As a leader in the scientific community Dr. Kovacs has earned Fellow status in the American College of Sports Medicine (ACSM). The ACSM is the largest sports medicine and exercise science organization in the world. He has published over 50 peer-reviewed scientific articles and abstracts in top research journals, in addition to presenting workshops and keynote addresses on five continents and well over 100 presentations. His research has been published in top tier scientific publications including the British Journal of Sports Medicine, Clinical Journal of Sports Medicine, Sports Health, International Journal of Sports Physiology & Performance, Medicine and Science in Sports & Exercise, Journal of Strength & Conditioning Research among others. In 2010 he was awarded the prestigious Plagenhoef Award for sport science achievement (youngest ever recipient), and in 2012 he was the youngest ever International Tennis Hall of Fame Educational Merit Award winner. He currently chairs both the PTR Sport Science Committee and the ITF Health Benefits of Tennis Taskforce. 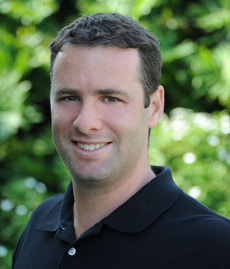 He also is a member of the USTA National Sport Science Committee and the International Relations Committee of the ACSM. Over his career he has served on editorial review boards and as a peer reviewer for more than a dozen scientific journals. Along with his academic and scientific background, Dr. Kovacs is also a coach and former professional athlete. He was an All-American and NCAA doubles champion in tennis at Auburn University. After playing professionally, he completed his graduate work at Auburn University and earned his Ph.D. in Exercise Physiology from The University of Alabama. Dr. Kovacs is a Certified Tennis Performance Specialist (CTPS) and Master Tennis Performance Specialist (MTPS) through the International Tennis Performance Association (iTPA), Certified Strength and Conditioning Specialist through the National Strength and Conditioning Association, a certified Health/Fitness Specialist through the American College of Sports Medicine, a United States Track and Field Level II Sprints Coach and USPTA-P1 Certified Tennis Coach. Over his career he has worked with more than two dozen top professional tennis players including John Isner, Sloane Stephens, Madison Keys, Robby Ginepri, Donald Young, Taylor Townsend as well as dozens of top professional athletes in the NBA, NFL and MLB. 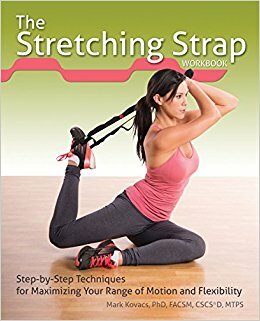 Best Selling Author, Speaker Consultant and Media Expert: Dr. Kovacs has published six books which have been translated into more than a dozen languages on sport and exercise science topics focused on stretching, recovery, mental skills training, anatomy and training. His expertise has been retained by major corporations, academic institutions and media outlets including Harvard University, Princeton University, University of Southern California, University of North Carolina, New York University Medical Center, University of Pittsburgh, Pepsico, Gatorade, New York Times, Washington Post, Wall Street Journal, ESPN, NCAA, National Athletic Trainers Association, National Strength & Conditioning Association, American College of Sports Medicine, International Tennis Federation, Association of Tennis Professionals, Women’s Tennis Association among others. Sharkie Zartman is a former All-American volleyball athlete and champion competitor at UCLA where her jersey was retired. She was a member of the U.S. Women's National Volleyball Team and also competed in the Women's Professional Volleyball Association for five years and is a member of the California Beach Volleyball Hall of Fame. Sharkie Zartman is a professor of health and fitness. She teaches Classes in health and power yoga. She is also the host of Sharkie’s PEP Talk on Healthy Life Radio and a Holistic Health Coach. She is the author of nine books. Her best selling Youth Volleyball book was ranked as a number one best seller on Amazon for youth sports, Shark Sense, is a fun empowerment book that has 5 five star reviews on Amazon and compares human goal searching behaviors to sharks. So You Think You Can Coach Kids? is a great resource for anyone who is coaching youth sports or just getting started. Take on Aging as a Sport: The Athletic Approach to Aging is a must read for anyone who doesn’t want to be complacent and let aging beat them up! Have Fun Getting Fit: Simple Ways to Rejuvenate Your Mind and Body will motivate, educate, and inspire people to get off the couch and make fitness an essential part of their lifestyles. And her new book, Empowered Aging: Expert Advice on Staying Healthy, Vital and Active is a plethora of advice on how to stay healthy regardless of age. 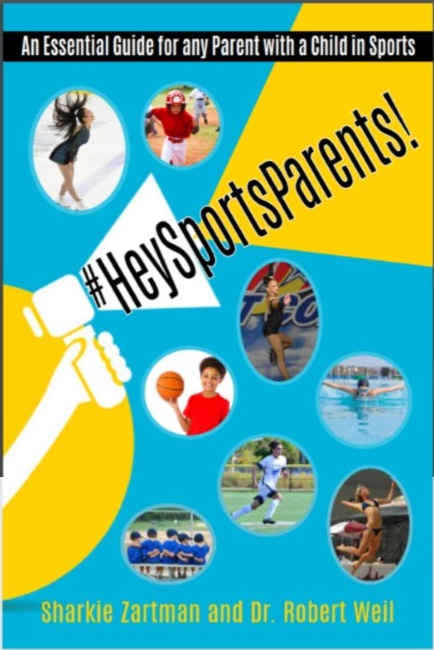 Her newest book '#HeySportsParents: An Essential Guide for any Parent with a Child in Sports' co-written with Dr. Robert Weil, DPM is a best seller on Amazon. Dr. Robert Weil, also known as 'The Sports Doctor' is a sports podiatrist and has treated many of the world's premier athletes in a wide variety of sports. He is the host of The Sports Doctor Radio Show and has written many articles for newspapers and magazines on sports parenting. This new book gives practical covering the basics of parenting a young athlete including the perks and pitfalls of youth sports, how to choose the right program for your child, how to feed a young athlete, what your role is as a parent, coaching your own child,how to navigate the college recruiting process, and a special chapter on stress management. In the first of three sections, Sharkie Zartman offers smart, clear advice. She returns the importance of character-building to the sporting enterprise which reminds us that’s what parenting should be about too.